My wife has never seen It’s A Wonderful Life. It was on our TV over Christmas, and because she’d been hearing about it forever, she asked what it was about. I gave her a quick summation: by seeing what the world would be like if he had never been born, George Bailey is shown just how much of an impact he has had on others. I hadn’t seen the film in probably fifteen years. Not for any reason other than it just slipped through the cracks. One year you’re watching it, the next… you just forget. I think we watched it this year because we left the TV on after a football game. The last time I saw it, I was single. Now I’m married, and have two kids. Why? Well, I always “got” the point of It’s a Wonderful Life, but it never really hit home before. When I saw the film earlier in life, I still had dreams, hopes, and aspirations. I’m not saying those have been beaten completely out of me, but I’m not denying I’m on the ropes. …and I’d watch all his dreams go unrealized. Which doesn’t mean anything to you until you’re there yourself—middle aged, and wondering what happened to everything you wanted to accomplish. Which isn’t to say my life is a complete failure, just my professional one. For eight years (probably?) 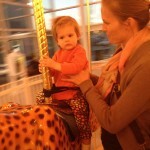 I’ve been a pretty OK husband, and for five years (so far), I’ve been a good father. I may have seen my young-man dreams dashed against the shores of reality, but I’ve been able to provide love to a woman and two children. I’ve even had people tell me they want to be a better parent because of me. That sticks with you. 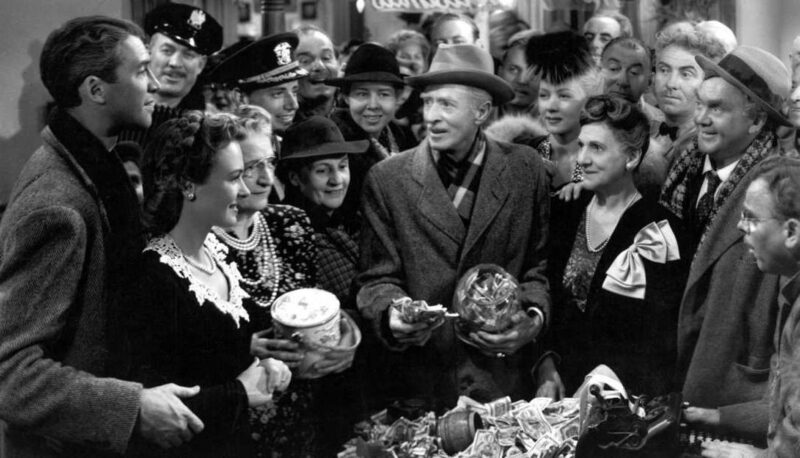 And while I haven’t saved a community a la George Bailey, I have made a real difference to a select few people. Because of me, my parents stayed together longer than they should have. Maybe they could have gone on to live happier lives had I not burdened them together, but that’s not how it worked out. With me bonding them like crazy glue, at some point they figured, “Well, maybe we’ll actually love one another if we have another kid” and had my sister. So my sister wouldn’t exist without me, and her family wouldn’t exist without her. Her husband would have an immensely altered lifeline, and their two sons wouldn’t be here. That’s fairly impactful, even if unintentional. More importantly, there’s my wife and kids. Sure, my wife would have eventually married someone, had kids and still raised a family. My ego is not so large as to believe she would have become an old maid like Mary Hatch. But she wouldn’t have given birth to the amazing two critters we’re raising together. And those critters? They provide something called perspective. They open you up as a person. When you’re a parent, little moments can hit you right in the feels. My son is three, and he’s a mama’s boy; he wants her for everything. Literally everything. I’m not allowed to pour cereal, open an applesauce pouch, hand him milk, or wipe his bottom after a poopy accident. But every so often, my son actually wants me. When we give him a bath, he sits in the water for as long as humanly possible. If we didn’t force him out, he’d probably never exit the tub. When he does finally leave his ceramic wonderland, he’s a wrinkly and cold prune. 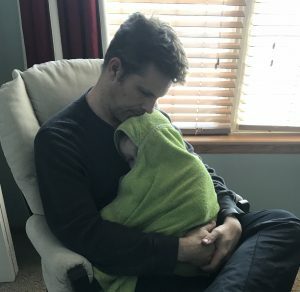 The other day after his bath finished, he wanted to be wrapped in his frog blanket and held. Surprisingly, he wanted to be held by me. It was completely uncharacteristic, and a pleasant surprise. It came out of nowhere, and yeah, it’s cheesy. I get that. But sometimes cheesy moments ease the pain of your other life failures. I mean, you do live on, even after your dreams die. I cannot pretend that I’ve done magical things or changed many lives; I’ve had a fairly mediocre existence. That used to make me angry. When I was younger, I discovered my field isn’t merit-based. 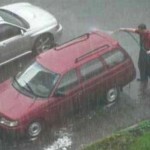 That used to frustrate me. But age brings with it acceptance. It depends on your point of view, I suppose. These days, I try to imagine how I’d feel about my career without my family acting as a tether to positivity during the rough times. I’m pretty sure I’d be miserable. I do know that no matter what else goes wrong, being loved by my son, wife, and daughter will be enough to anchor me. 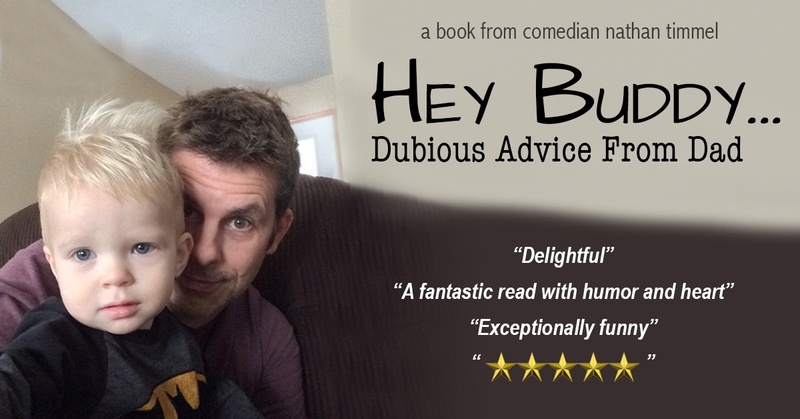 Click the banner and buy my book.